On-air host Clint August of San Diego's Classic Rock Radio Station 101KGB-FM had the chance to chat with the former drummer of Lynyrd Skynyrd, Artimus Pyle, about the band's legendary past and future. 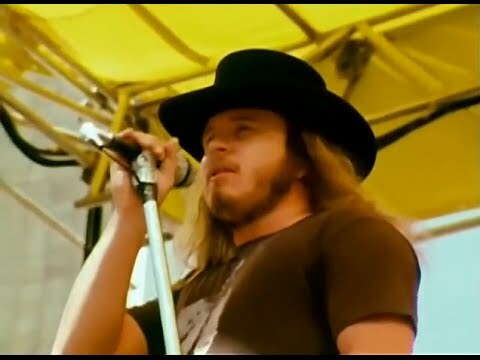 Most people know the history of Lynyrd Skynyrd but probably have never heard it first hand from the band's former drummer, Artimus Pyle who personally experienced it. What makes this particular interview so special is how open and forthright Artimus was on several situations he encountered with the band and currently still is. The legendary drummer goes into details on the plane crash and describes getting shot at a random farmhouse while trying to find help for everyone. He also explains how the lawsuit regarding the movie coming out soon caused a lot of tension and expresses his feelings to the other parties involved. After forty years of being mad and sad, Artimus has made the decision to instead celebrate the life of his friends before the plane crash. Artimus currently is working on several projects. His book Street Survivor: Keeping The Beat in Lynyrd Skynyrd is out now and he wrote the screenplay for a movie being released early this summer called Street Survivors: The True Story of The Lynyrd Skynyrd Plane Crash. He also has a band with his son called Chappell and they recently released an album titled Southern Fried Tribal Boogie. Artimus' son wrote, sang and played guitar on all of the songs. Thank you, Artimus Pyle, for chatting with us! Artimus Pyle has received a cease-and-desist order for trying to make a biopic about the band's deadly 1977 plane crash.